Pride of ownership shines through this Gorgeous Brick Colonial home, situated in the popular Hockessin Community of Valley Brook located in sought after North Star Feeder Pattern. Before entering the home you will not only notice the elegant curb appeal but the breathtaking views of Hockessin, making it the ideal spot to watch the Hockessin fireworks show on the Fourth of July. The Magnificently updated eat-in kitchen would make any home chef excited for family dinners. Through the gleam of the Newly refinished hardwood floors (2018) and bright breakfast area, the kitchen also features Granite Countertops, NEW Tile Backsplash, Stainless Steel Appliances, Undermount Sink, recessed lighting and plenty of cabinet space. Adjoined to the kitchen is the family room with crown molding, ceiling fan and a floor to ceiling Brick Fireplace, making it a perfect place to keep warm on the snowy nights. Off of the family room are french doors leading to the expansive rear deck, the perfect venue to entertain friends on warm weekends or as the owners preferred - spending time relaxing and listening to music while their dog plays in the yard. Additional main level highlights are a powder room and laundry/mud room just off the kitchen with entry to the back of the house and the garage, a tiled foyer adjoined by spacious dining room and living room with crown molding and chair rail, warmed by the Southeast sunrise with over-sized windows and dressed in crisp white plantation shutters with panoramic views. Retire at the end of the day to the master bedroom suite detailing dentil crown molding and a large walk-in closet. You will be blown away but the updated stunning neutral colored tiled en suite master bath featuring a seamless stall shower with an adjustable rainfall shower head, positioned nicely next to a heater vent for a toasty exit, as well as a soaking tub. There are three additional bright and generously sized bedrooms with double closets and a shared hall bath with custom vanity and tile flooring. Other features of this home include, Newer Roof, enlarged resurfaced driveway leading to the 2.5 car garage, Newer Vinyl Windows, Studded out basement with electrical and insulation that~s ready for finishing, NEW Water Heater (2018), deck resurfaced and painted (2018), freshly painted rooms along with New storm door and back door blinds, and in 2017 a No Dig Dog Fence Installed. Soothing Neutral colors throughout make this home move in ready. 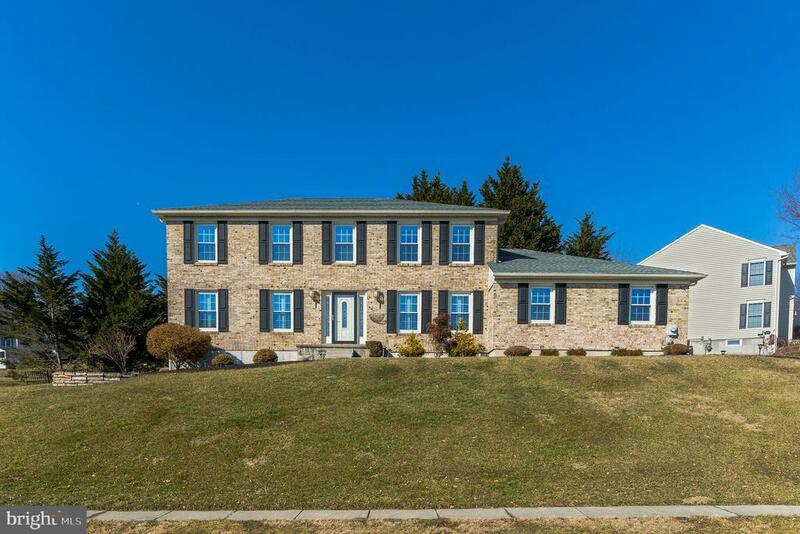 This Prime Location is within walking distance to Hockessin Athletic Club and walking trails at Tweed~s Park, Hockessin Post Office, and Lantana Shopping Center with restaurants, shops, hardware & grocery stores. Make your appointment today as this will not last long! Directions: Route 7, to right on Valley Road to left into Valle Brook on Brook Run.